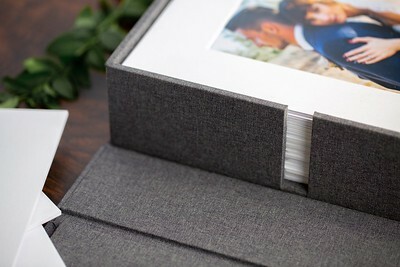 This 8 x 10 folio box is wrapped in our traditional charcoal linen. 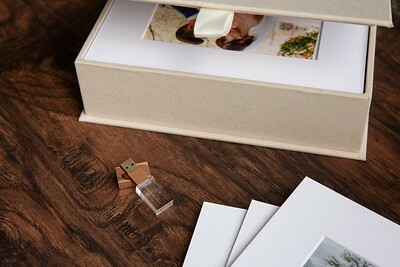 It is designed to hold 20 photo mats, and a glass USB on the underside of the lid. 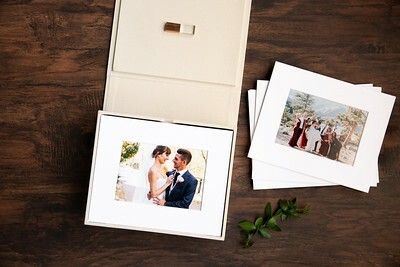 The box lid is fitted with two sets of magnetic strips to keep it secure when closed. 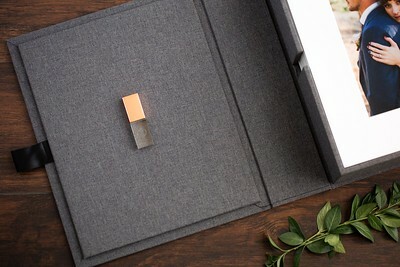 Both the USB and the box lid can be customized with your text or with a custom logo. 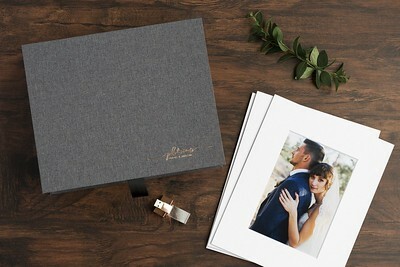 However, if you wish to customize the linen box with a logo, you must purchase a “Logo Die." It is a one-time charge used for casting your design onto a metal plate, so it can be used to deboss your boxes. Holds up to 20 mats. 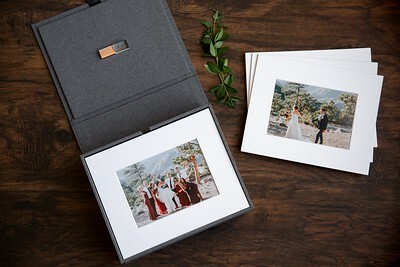 Folio Box Design: Available with or without a USB compartment. 60mm x 17mm x 10mm. 30mm x 17mm x 10mm.